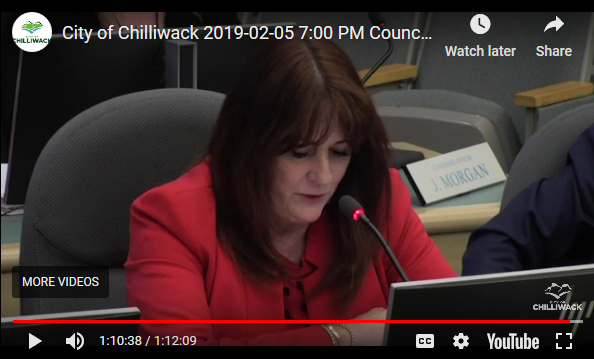 Chilliwack – Chilliwack City Council’s Tuesday meeting was the usual fare. 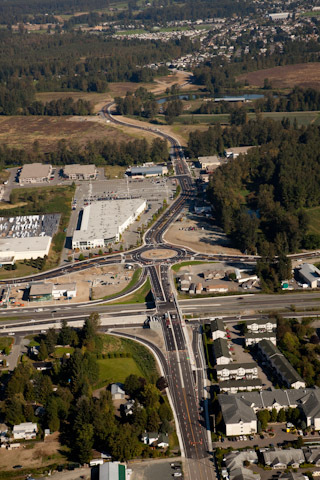 Zoning rules, checking by laws etc etc. At the end of the evening session, the bombshell. During the standard Council updates and reports, Councilor Sue Attrill, in a nonchalant voice, announced she will miss a few meetings as she enters treatment for breast cancer. She made note that all women should have a mammogram. Attrill was first elected to council in 2008 and chairs the Public Art Advisory Committee and is active with the Heritage committee, among other duties. She is the Executive Director of the Chilliwack Hospice Society. Her announcement is below starting at the 1:10:20 mark. Be the first to comment on "Chilliwack Councilor Sue Attrill Battling Breast Cancer (VIDEO)"